Anselm is gravely wounded. Perhaps mortally so. Lost within his fevered dreams, he journeys back to the long-ago summers of his youth, to a time when the bonds of family and friendship had still been unbroken. Through the eyes of the boy he had been, and those of the man he was, Anselm sees the world that might have been—relives a love that should have been—if only the spirits had been kinder. Isobel. The girl who had stolen his heart and, ultimately, sealed his fate. As his body lies broken within his bedchamber in Edgeway castle, Anselm’s spirit soars free, wandering the lonely, narrow pathway that separates the realm of life from death. A life that no longer wants him, or the love that never died? Which will be the strongest lure? 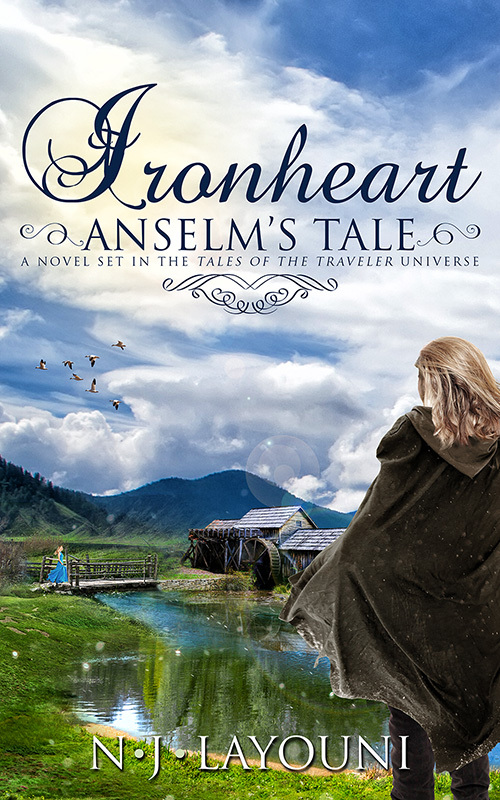 “As a reader of the first two Tales of a Traveler books, I was very curious of Anselm. Bad guy? Good guy? Well, this book answers many questions but also opens the door to others…” Amazon reviewer. “N.J. has done it again. Another wonderful book into another world, a place to get lost and fall in love. Anselm, I have such a sweet place in my heart for him and I was so happy to have more insight into his life. I recommend these books to all of my friends who like to indulge in some historical romance. Never disappointed.” Amazon reviewer.